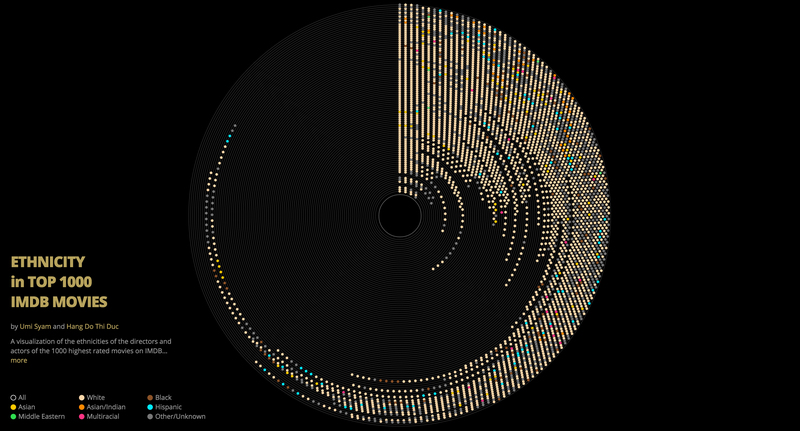 A visualization of the ethnicities of the directors and actors of the 1000 highest rated movies on IMDB (February 2016), in collaboration with Umi Syam. The idea originated from the debate of #OscarsSoWhite on social media. Thus, we made this as a contribution to the discussions about how white people are dominating the movie industry. We are taking a deeper look of how this has evolved throughout the history. 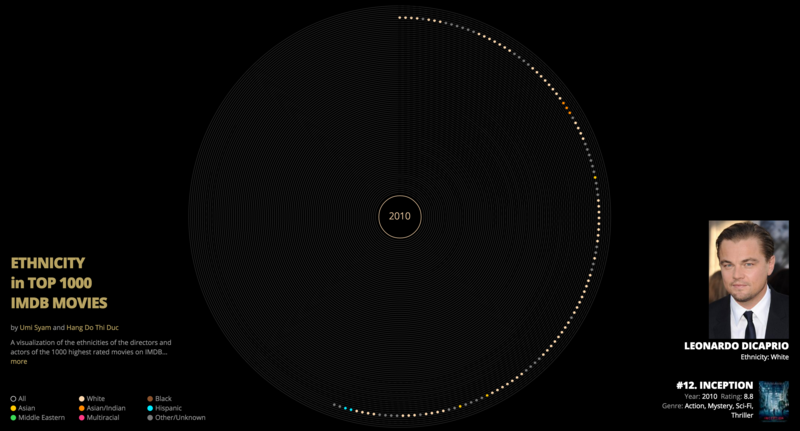 We cross-referenced our movies dataset and scraped the internet for each person’s ethnicity from year to year (1920- 2016). Experience the current version here. Ethnicities were scraped from nndb.com, that still left a gap of ~900 unknown ethnicities – we are working on improving our data set. My main role in this project is the data part. I scraped the information with node.js and cleaned up the data in open refine. Additionally we want to port this p5.js code to d3 for more stable performance and interactivity, as well as zoom and pan.